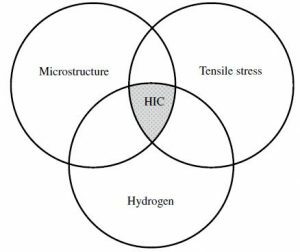 Hydrogen-induced cracking (HIC) is a far too common type of failure. 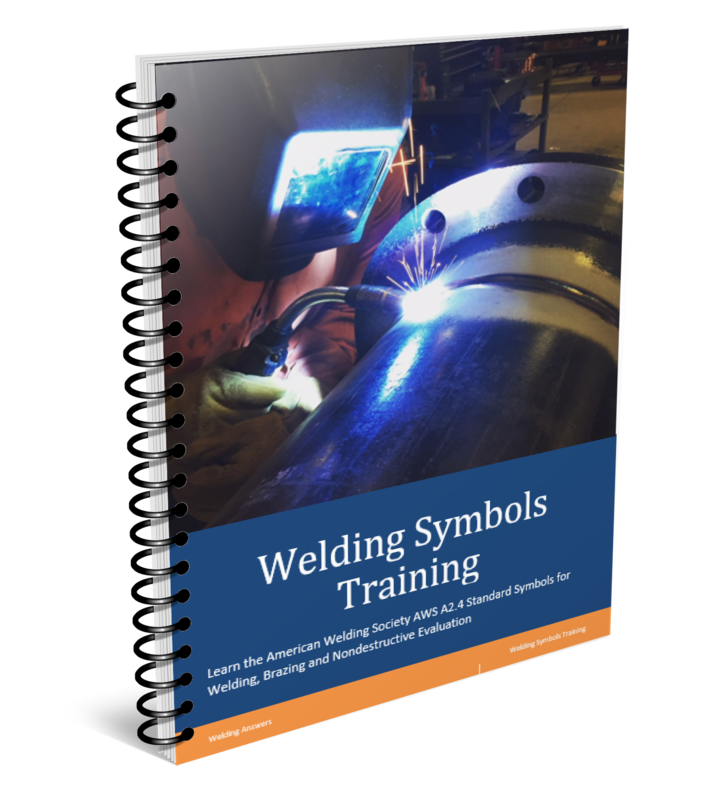 It is also called hydrogen assisted cracking (HAC) and delayed cracking since it does not occur right after welding, but a few hours or days after the weld has completely cooled down to ambient temperature. Cracking occurs due to a significant loss in ductility in the weld metal and/or heat affected zone (HAZ). 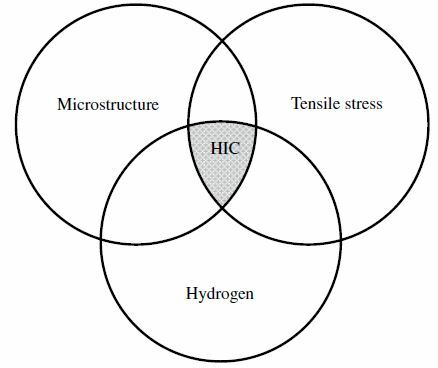 There are several theories to explain the mechanism for HIC, but simply put, hydrogen introduced into the weld will diffuse to the HAZ of a susceptible microstructure (such as martensite and bainite), and form a crack when the material cools and enough restraint is present. Low-hydrogen practice minimizes or eliminates these sources to prevent HIC. Susceptible microstructure – In steels there can be a wide array of microstructures depending on the composition of steel and the welding process parameters. Hard and brittle microstructures are the most susceptible to HIC. These microstructures are usually the product of fast cooling rates which tend to form martensite or bainite on most steels. Keep in mind that simply looking at the composition of a base material and determining the carbon content or carbon equivalent is not enough to know the microstructure after welding. The heat input of the welding process and the preheat, or lack thereof, are significant factors in the final microstructure. In general, fast cooling rates should be avoided. 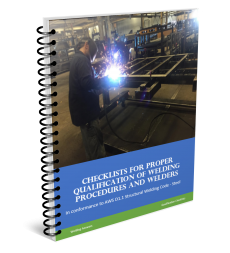 Consult with the appropriate code for preheat, post weld heat treatment and interpass temperature requirements. The microstructure of a weld and the heat affected zone is a product of the base material composition and the heat effects of the welding process and cooling rates. Restraint level – The level of restraint is determined by the stress and strain state of a weld resulting from factors such as clamping and fixturing, geometry of weld joint, thickness and strength of the base metal, presence of weld discontinuities and residual stress. Out of the three factors this is typically the one that is hardest to control. Remember that for HIC to occur you need all three factors. Seek to eliminate the ones you can most easily control. 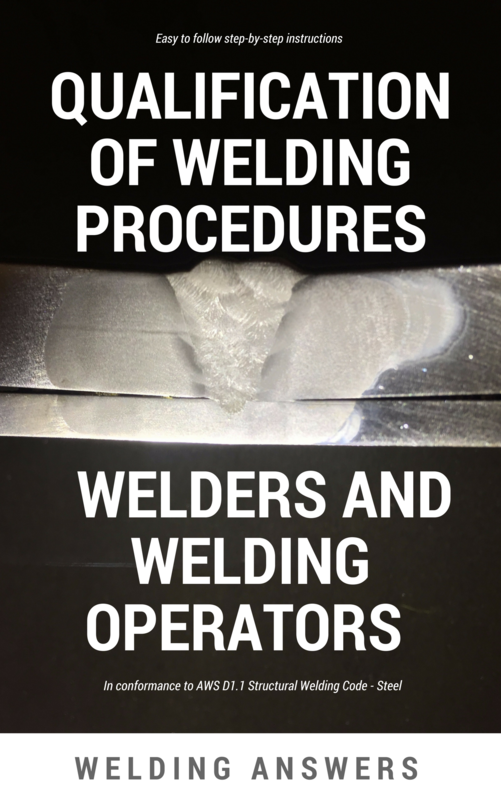 Avoiding hydrogen in the weld is typically the easiest to affect, followed by control of microstructure. To learn more about reducing susceptibility to cracking due to hydrogen read Preventing Hydrogen Induced Cracking.